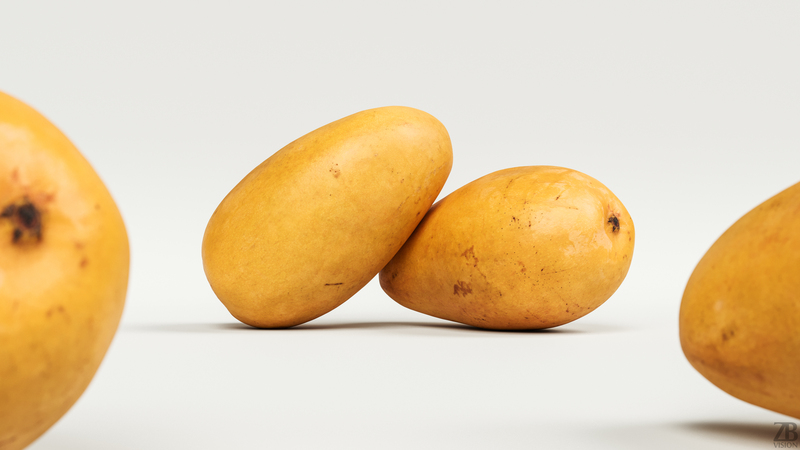 This is a 3d model of a yellow mango. It was modeled and prepared for photorealistic renderings, close-ups, stills and animation. The queen of mango model is ready to be inserted in your scene out of the box. The Sindhri mango model is presented as single mesh in 2 versions. Mesh is quad based. 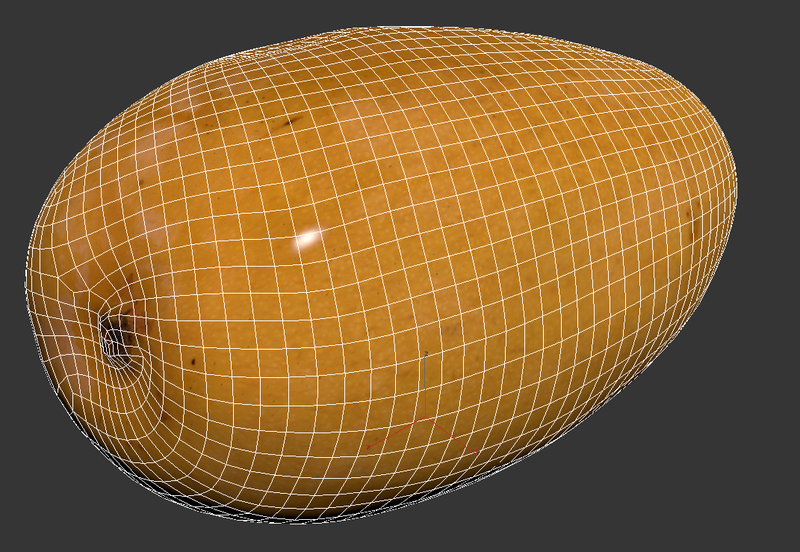 Base model polycount is 3k. High detail model included in .max and .obj formats. High detail model has 708k quads. 5 maps are supplied with this model. 8192×8192 PNGs and downsampled version in 2048×2048 JPGs. 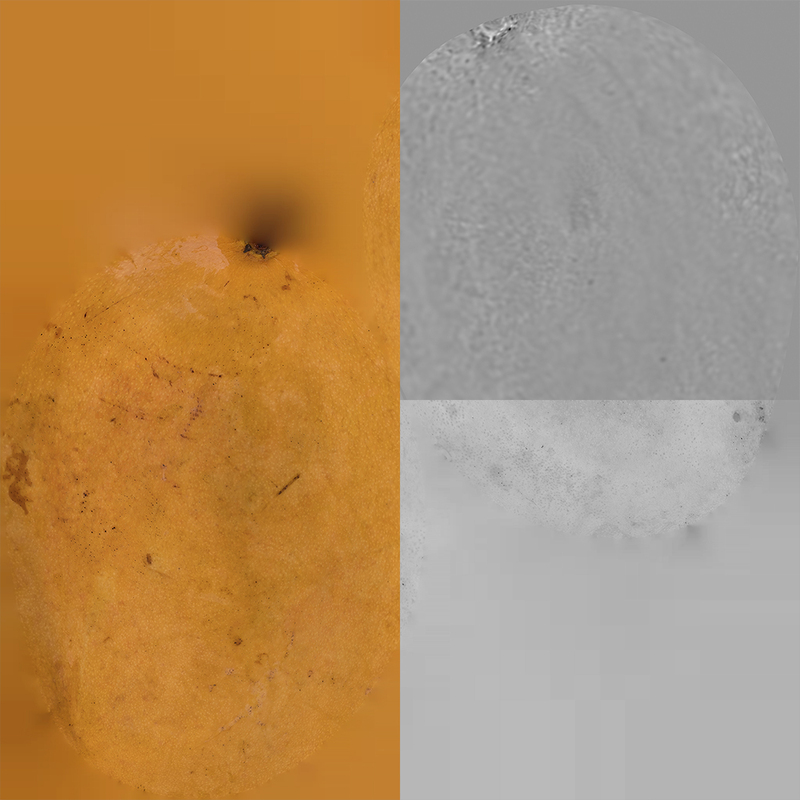 The maps include diffuse, AO, glossiness, normal, displacement. 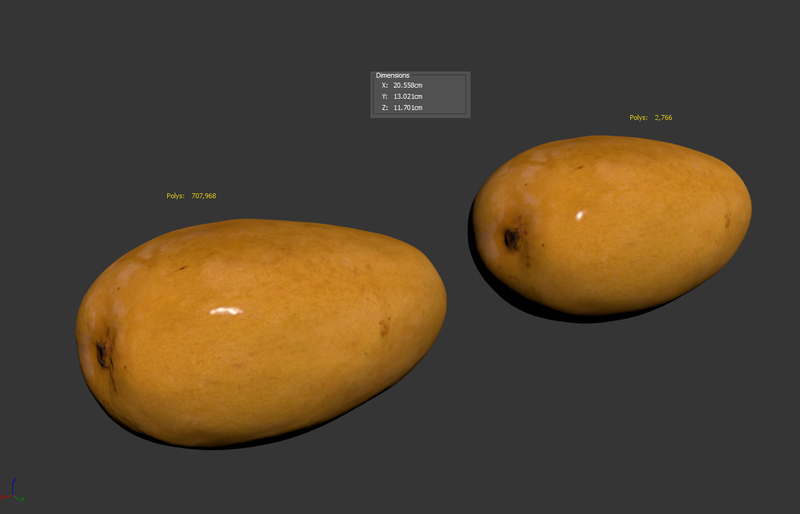 A 16K diffuse map is also included. 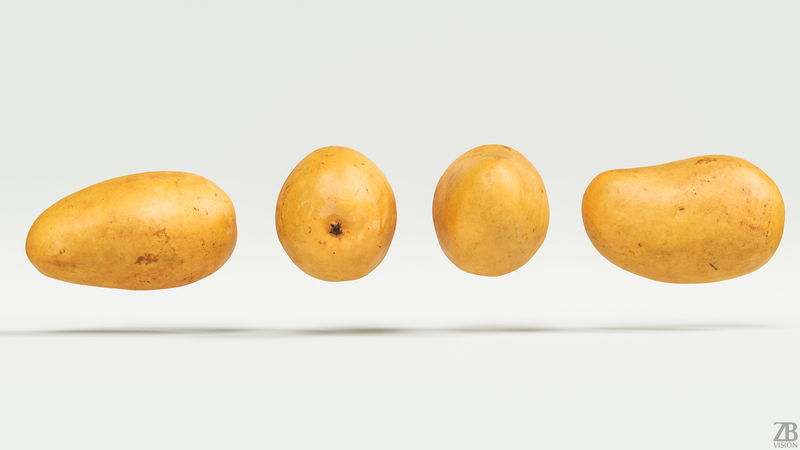 The yellow mango model is uvw unwrapped. All preview images were rendered with Corona. You will get only the queen of mango model and not the scenes used for the preview renders. 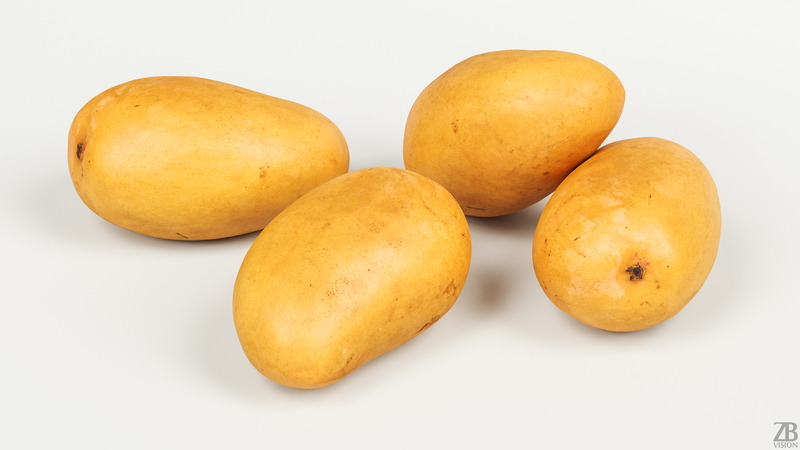 Please also take into consideration that the preview images are the result of the post-production and the look of yellow mango 3d model in your scene may differ due to the specific settings of your own scene. Product is ready to render out-of-the-box. Please note that the lights, cameras, and any background not described above objects are not included in the product. The model is clean and alone in the provided files, centred at origin and has real-world scale.